There are motorcyclists and then there are hungry motorcyclists. 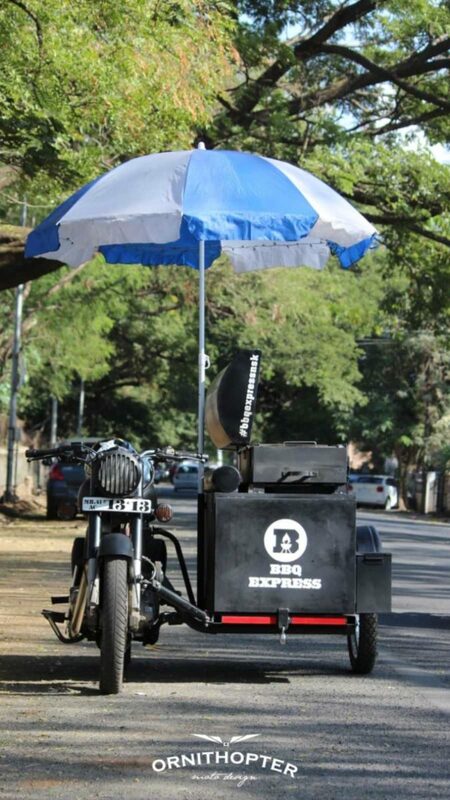 Folks who would ride to a destination just to savour one of their favourite meals. Because the joy of cooking and eating under an open sky or a tree or the stars is something else, some, like us, even carry their barbeque kits on every trip. The Royal Enfield you see here isn’t built to do that. 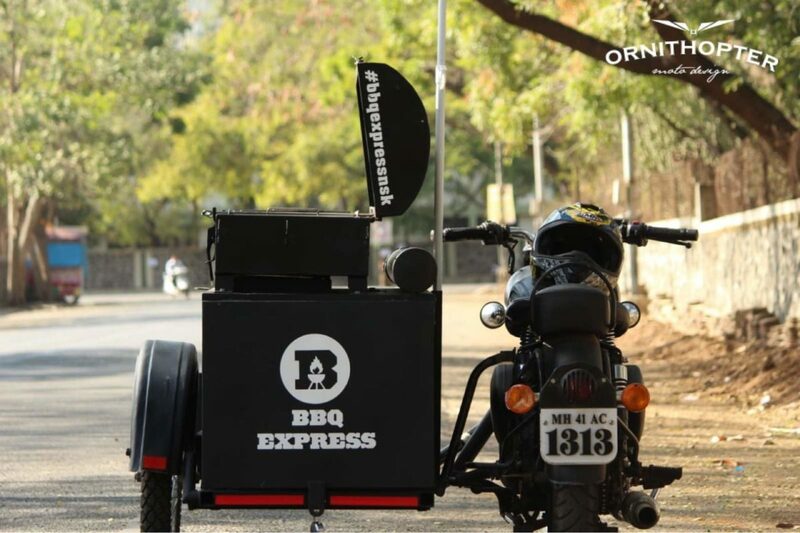 The work of Ornithopter Customs, this BBQ Express was built for one of their clients so that he could run a food venture, which is now operating successfully. But even if we keep the commercial aspect aside, this is such a great build for getting to a place with friends and turning the skewers to cook some mouth-watering meat. For that reason, the sidecar is kitted out with all the necessities one requires in a kitchen, which includes utensils, equipment, a large grille and storage space to put all that away when on the move. We aren’t sure if the heat is gas-fired or comes through coal, but that isn’t a challenge once you have the pot and all that’s needed is some fire. 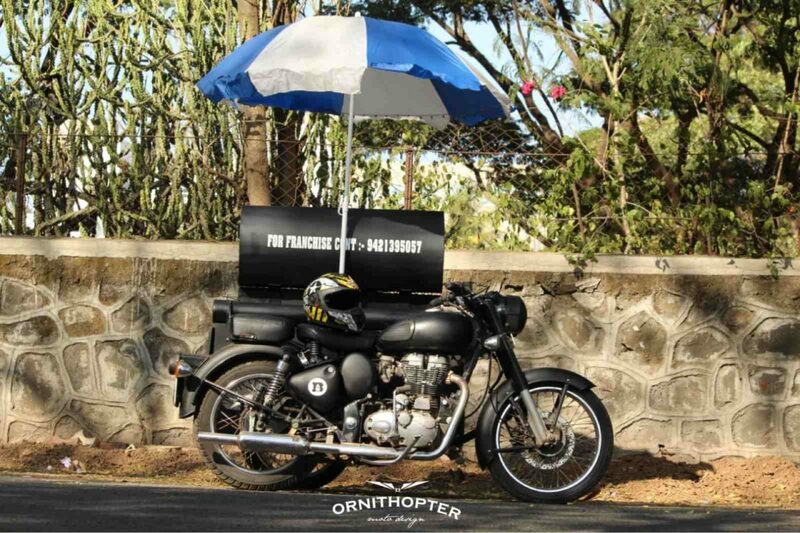 Powered by a Royal Enfield 350, that motor has enough grunt to pull the sidecar along even if the destination is slightly far. Notice how the front left fork is attached to the sidecar via a hydraulic strut so that this idea can turn and how everything is painted in charcoal black. We aren’t sure if it adds more flavour to the meat as well, but such a fantastic idea for someone who loves outdoor cooking. We don’t think it would be a lot of trouble detaching the barbeque either when there is a need for just the motorcycle to be released. The build aside, if you haven’t experience cooking under the stars yet, do try it sometime. Food definitely tastes better when there are no walls around.